This work aims at developing a robot hand that is specifically designed to perform a handshake with a person. The hand includes the capability to `feel’ the forces applied by the human user. Therefore, it can also be used as a haptic handshaking system connecting two people performing a remote handshake with haptic feedback. This work aims at developing passive torque limiting devices that can be mounted in the structure of a robot in order to provide an effective and robust means of ensuring safety in human robot physical interactions. The geometric arrangement of the torque limiters is key to guarantee their effectiveness in all configurations of the robot. A novel 4-screw robotic manipulator (FSR manipulator) used in automated storage and retrieval system (AS/RS) is designed. 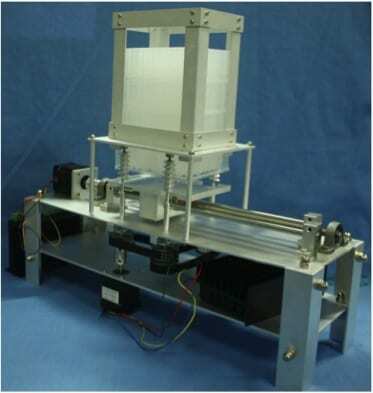 Microplates, which have a projection, are mounted on the four screws. Mathematical modeling, force analysis, static analysis and simulations are conducted. Compared with the existing robot hands, the FSR manipulator is simpler in mechanical structure and control system. A new nonrigid (or articulated) moving platform with passive joints is proposed to reduce the interference between limbs and the moving platform. Then several 3R2T and 3R3T parallel mechanisms are synthesized by use of the proposed moving platform and Lie group theory. Finally, the rotational capability of the synthesized parallel mechanisms is exemplified by the kinematic analysis of one 3R3T parallel mechanism.